The Old Links undulates in the glory of its natural terrain, presenting an immensely enjoyable challenge to every golfer. Work recently undertaken by Nick Faldo, one of Europe’s most successful golfers with victories at the US Masters at Augusta, The Open and on Ryder Cup Teams, has resulted in an Old Links that has been refined and what is now a fantastic golf course. The Old Links hosted the European Seniors Tour in June 2008 The Irish Seniors Open. 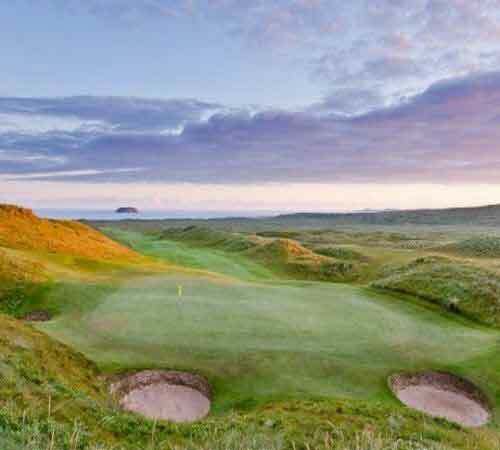 The home to two championship links courses and one of the warmest welcomes in golf, this is a must when putting together an Ireland golf package with your friends.